Award‐winning painter Laura Culic works in beeswax, dry pigments and oil paint. Laura’s work is available at her gallery/studio in Maynooth, Ontario, and is represented by galleries in Toronto and beyond. She also regularly participates in a number of art fairs throughout southern Ontario. Recent awards include Best in Show at the Ontario Society of Artist’s 139th Open Juried Exhibition and Best in Painting at the 51st Toronto Outdoor Art Exhibition. Many corporate, private and government collections have acquired pieces by Ms. Culic. An elected member of the Ontario Society of Artists, she is also a recipient of an Ontario Arts Council grant. 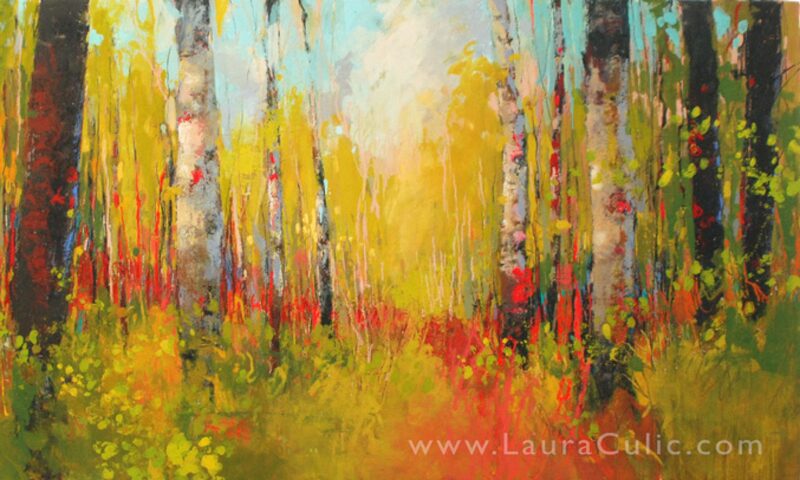 Laura’s evocative landscapes and abstracts are inspired by her love of the wild places and her commitment to environmental conservation. 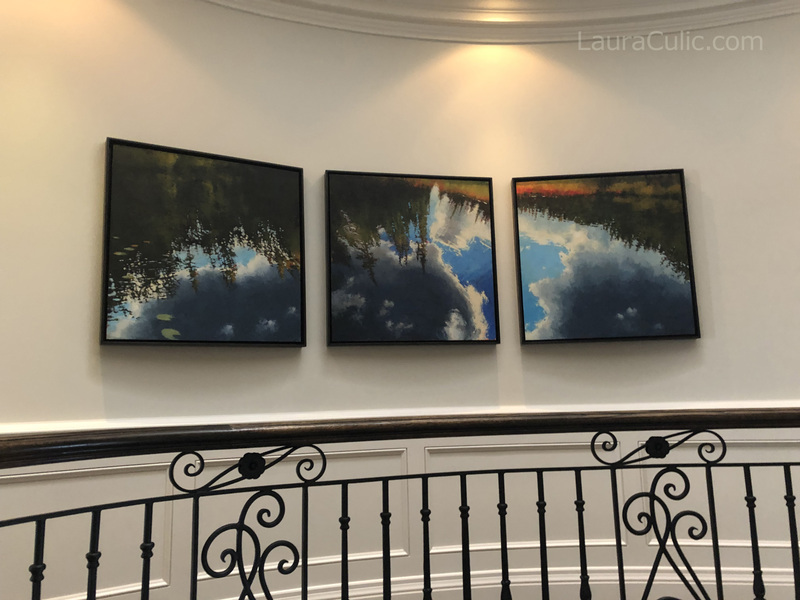 The centre painting was purchased initially, and the happy clients decided to commission artist Laura Culic who created the accompanying two as a triptych to enhance this unique, high‐visibility location in their beautiful Toronto home in February 2019.